“Big Break” is a talent hunt/reality Show conducted by OTL. The Contest is open to Indian Citizens residing within the geographical territory of India only (extended to Andaman and Nicobar islands). Candidates will be given scheduled call backs/emails after watching your videos and photographs etc. and will be informed about the location and timings. All Participants intending to participate need to register themselves using this link: http://www.tarangtv.in/bigbreak2019. There are two option of registering for the auditions. After receiving your forms OTL will call selected candidates will be given scheduled call backs/Email notification for the in-camera auditions at the audition venue. Contestants living in different cities other than Audition venue can register online and appear for the auditions. C.The entries will be screened by OTL and the only selected candidates will be given scheduled call backs for the in-camera auditions at the audition venue. A.The selected applicant is required to bring own costumes props, CD/Pen drive of any musical support that they require for their performance during the audition. B.The applicant must carry valid id proof and two photocopies of the same. 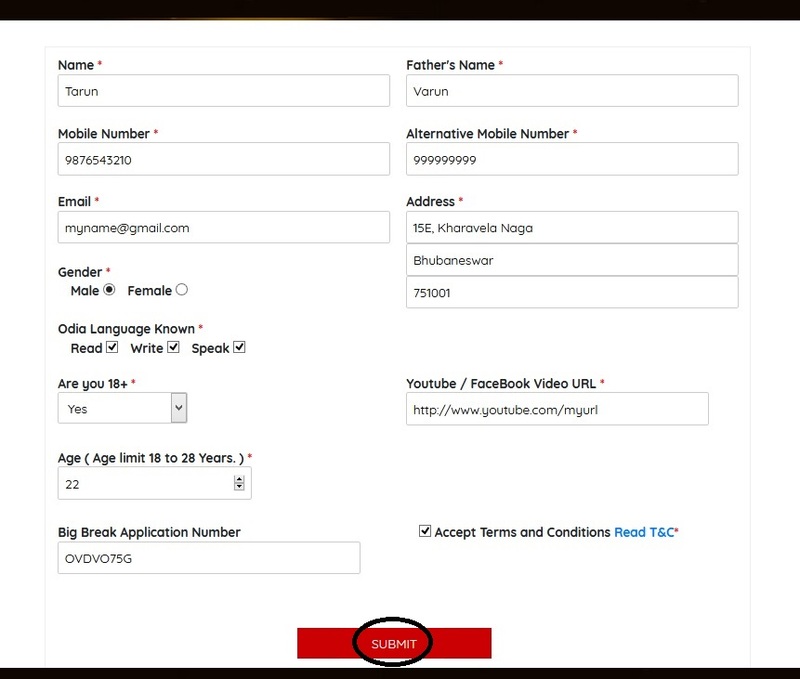 The id must correspond to the ID used for online sign up (if applicable). C.The applicant must carry 2 passport size photographs. D.The applicants are required to carry basic make up kit, if required. E.Refreshments will not be provided at the audition venues. F.Applicants abide to maintain confidentiality of the event and selection process, as will be instructed to the participants. G.Participant and his/her Guardian agrees to follow all directions/rules and regulations framed or given by the OTL from time to time in connection with the Show and shall not disturb the discipline and decorum at the show venue. B.Applicants in the age group of 16-28 should be physically fit to participate. Minors should be accompanied by an adult in immediate blood relation for the audition and every time during the entire process of selection and event. C.OTL management will not be responsible for any health hazard occurred due to pre-existing ailments. If demanded, Applicants should produce a health / fitness certificate from a medical practitioner. D.All contestants would be expected to comply with guidelines for the auditions. E.At Audition, the number of applicants will be judged over several rounds of elimination. Just Auditioning does not guarantee selection for the following round. F.In the event of multiple registrations made by one Participant, the first complete registration shall only be considered.